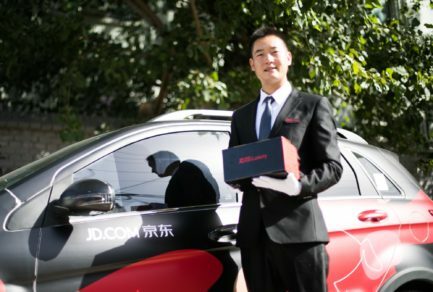 Over 10 million customers of JD.com, China’s largest retailer, have joined the company’s premium membership program, making the pioneering initiative China’s most well-received loyalty program. Launched in 2016, JD Plus enables faster accrual of JD’s “JingDou” loyalty points, which can be exchanged for products on JD, exclusive discounts on purchases and shipping, and 24-hour customer service. Members also receive benefits from JD’s partners, including complimentary VIP membership on iQIYI, China’s leading online streaming video platform, bundled memberships between JD Plus and Walmart’s Sam’s Club and VIP treatment at Narada Hotels. The growth of JD Plus illustrates rising demand in China for authentic, high-quality products and services. A report released today by Nielsen shows that JD Plus users tend to be fiercely loyal to the JD platform, saying the company outperforms other e-commerce platforms in terms of product quality, fast delivery and reliable after-sales and returns policies. According to JD, the renewal rate of JD Plus members is near 80%. JD Plus users spend much more money on the JD platform than non-plus members, with many users regularly spending 1,000 RMB monthly or well over this amount. JD Plus members tend to be young, highly-educated professionals who mostly live in first or second tier cities, relying on the convenience of e-commerce to help manage their busy schedules, Nielsen’s report shows. And the main reason members choose to pay for JD Plus is the value for money offered by the program, as well as enhanced user experience and exclusive benefits. To mark the program’s latest milestone, JD has announced a raft of new benefits for members, including coupons or memberships for restaurant meals and takeaway, entertainment services, travel bookings, wealth management products and more. “JD was the first company to introduce the paying membership model to the Chinese e-commerce market, and we’re delighted to see millions of users enjoying the convenience and exclusive benefits offered by JD Plus,” said Chunhui Meng, head of JD Plus. “As offerings available to JD Plus members expand to areas beyond traditional e-commerce, such as lifestyle and financial services, we will continue to create a retail membership experience that is unmatched in the industry,” she said.